1. Model BL I Keratometer was developed under the guidance of Optometry Center. 2. 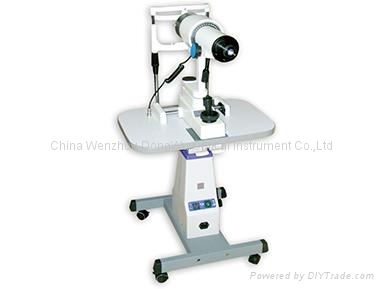 This instrument can give a precise examination of the radius of curvature of the anterior corneal surface. 3. This measurement is utilized to fit contact lenses and to monitor corneal changes produced through the wear of contact lenses. 4. Keratometer are occasionally used to assist in the recognition of certain corneal abnormalities and to check the radii of curvature of both hard and soft contact lenses. 5. The program can be operated with considerable ease.